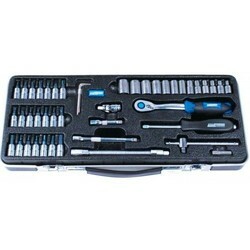 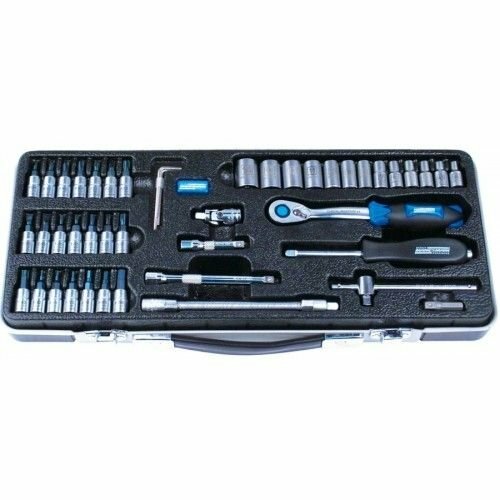 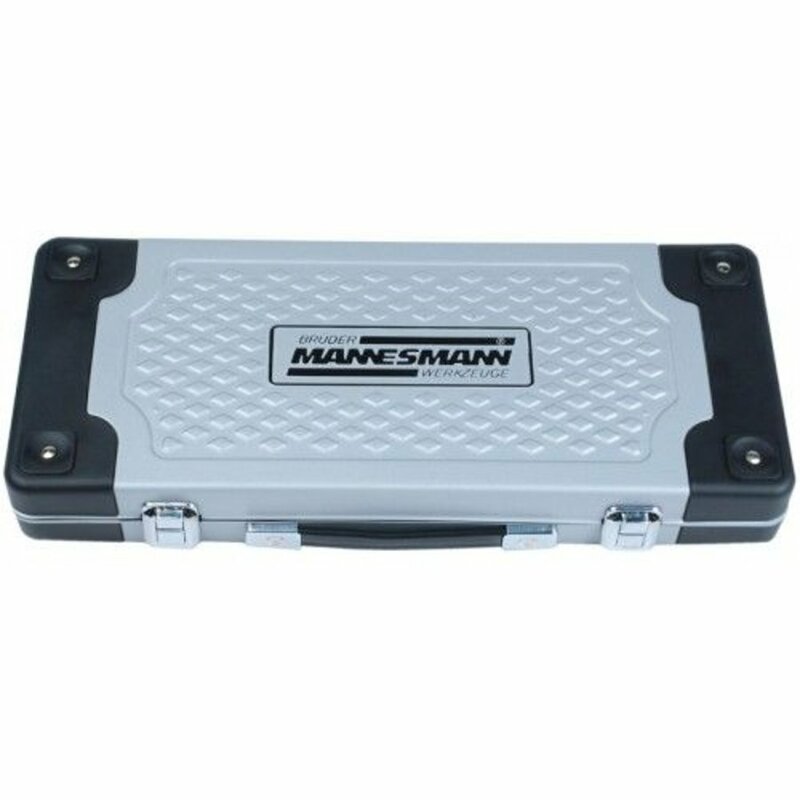 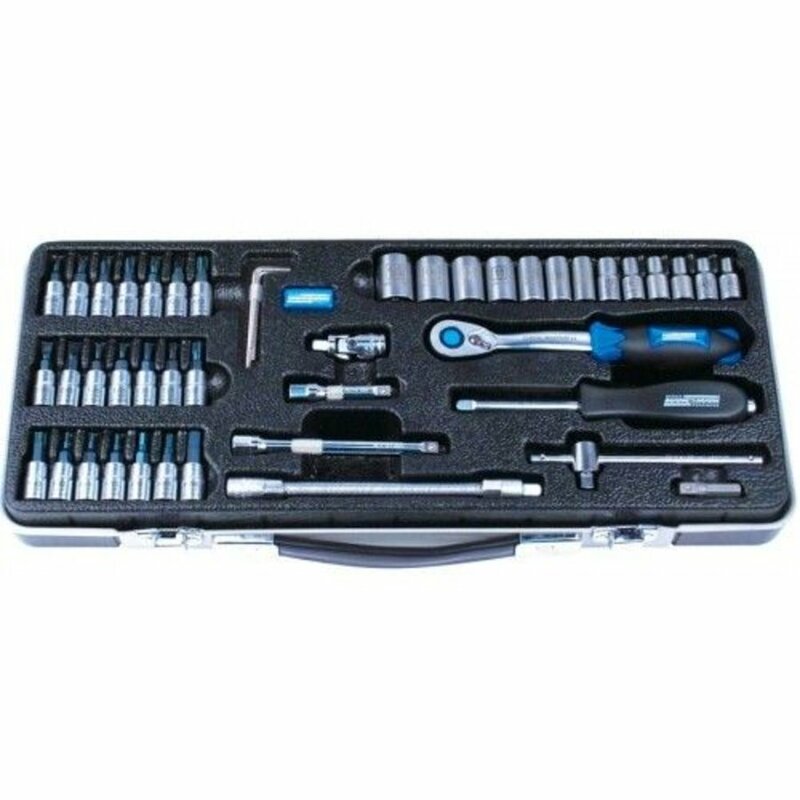 Premium Mannesmann socket set, 46-piece, 1/4 "jack. 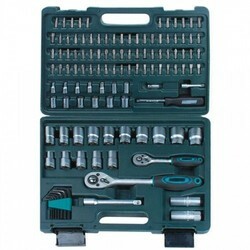 Industrial excellence in alloy case. 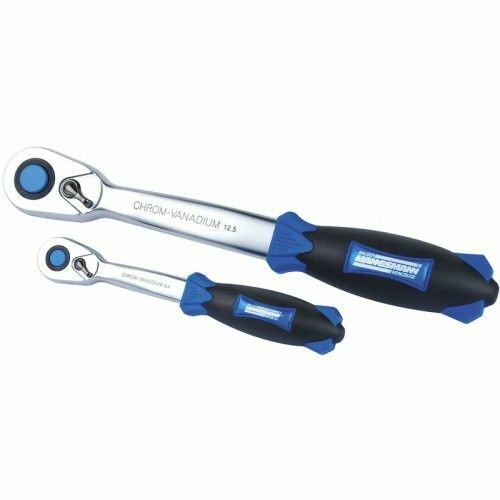 Chrome vanadium steel with pearl finish, glass bead blasted surface, impact and scratch resistant, lasered size designation and bits from induction hardened S2 steel with blue finish. 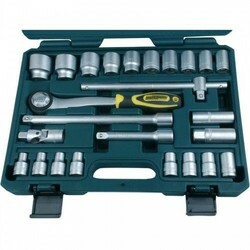 Corrosion resistant and long lifespan by special treatment of the surface.